Changes TA's weapon trees to DA's weapon tree/progression, removing racial unique weapons in the process. 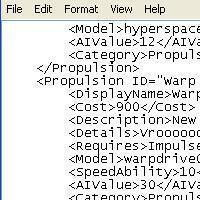 Also modifies Subspace Blaster and adds Subspace Annihilator as a ship component, per request; see readme for details. 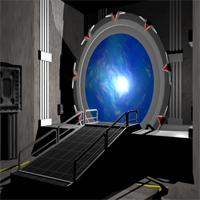 A Stargate mod that offers new techs and focuses on Replicators. For marathoners only! When you play a game past the end of the Tech Tree, your scientists kick back with a cold one and never work again! Not so with this mod! At various points during the game the scientists will celebrate their achievements with an Office Party. 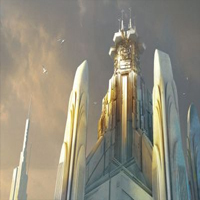 Once the Tech Tree is fully researched, the party ends when all of your research facilities will be demolished to make room for productive improvements. (Notes: Modifies the Tech Tree by adding "Office Parties". These are in place to determine when the 30 "research lines are complete". There are four "Office Parties" because an individual tech can only have 8 prerequisite techs. 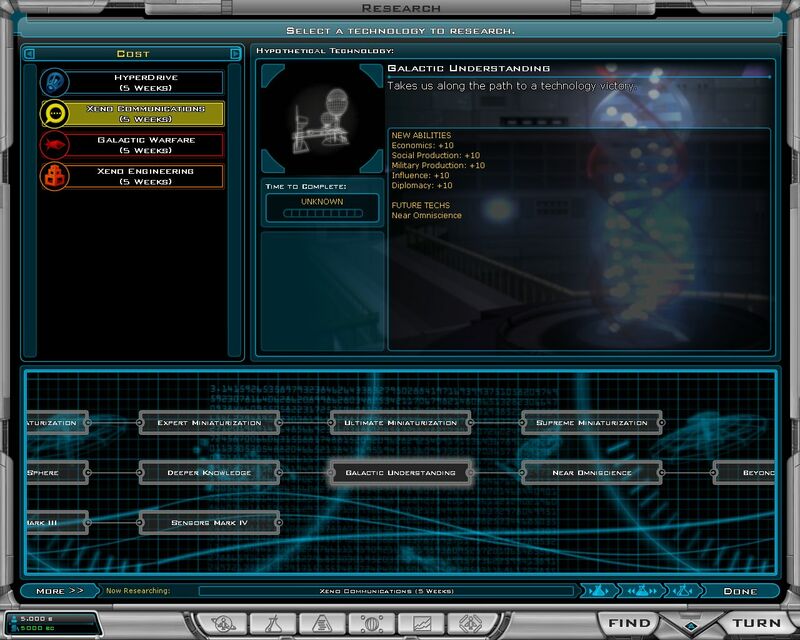 An alignment specific final Party confirms the tree is completed, which enables a Planetary Improvement to upgrade the research facilities as if they had just been Terraformed. The "Office Party" techs were given a cost of 300 to keep them from appearing as optional techs during character creation. If you finished the Tech Tree, I believe this cost is negligible. The cost to "upgrade" to a blank square is the same as demolition, which means you can get the same effect manually if your patient enough to go through every planet. Because of these two factors, I don't believe this mod adjusts game balance. Lazy Scientists, Back to Work! Thus, it is all accurate and holds in my opinion the best technology tree possible. No manipulations in any other code are needed to do with the game whatsoever, only to the techtree.xml file. All you do is make a backup copy of the old techtree.xml(in case you want to use it again) and replace it with this one in GalCiv2\Data\English folder. The only change I have made is changing hyperwarp III to the new name: "Ludicrous Speed" -from Spaceballs(it seems to suit the title well). Everything else comes from Stardock's configurations. Have a go at it and see what you think of this. Good Luck and enjoy!! * NOTE!!! 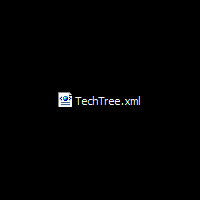 ::: There has been some confustion and here is the clarification: Make sure that you only copy and paste the file "Techtree.xml" inside of the folder I labled -Techtree mod-. Reason: Because the game will crash after you delete the main techtree.xml file if you only copy the "TECHTREE MOD" into the directory becuase the game is looking for the file I made and not the folder I put it in. Also do not put the file in the mod folder that stardock created, because if you just deleted the file in the main directory and put my creation in the mod folder the game will crash because its searching for the main file that you deleted. Remember this also, do not load a saved game with this techtree.xml file because the game might create another copy of this file and or not work because this file was not with your old saved game!! YOU MUST START A NEW GAME WITH THIS FILE. Hope that clears up the confusion, if any. Layman terms: After download, inside the folder -Techtree mod- copy the file "Techtree.xml" and paste it in the main folder GalCiv2\Data\English and nothing else but sit back and enjoy this!! PS> Remember if you update the game to a new version you must either re-download this file and put it back in the directory or just put the file back in, otherwise you wont have this techtree!! 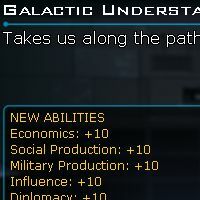 and send them out to conquer the galaxy now with my new mod! Now take your clones into action use Stormtroopers or the regular Kamino Clonetroopes to conquer a new world! 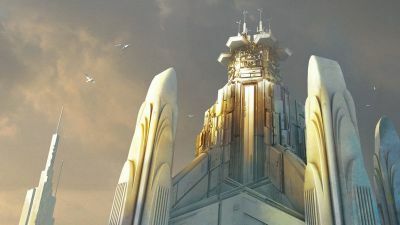 or to set order in the enemy planet! Added "Advanced Power Armor" +20 Bonus To Soldiering. 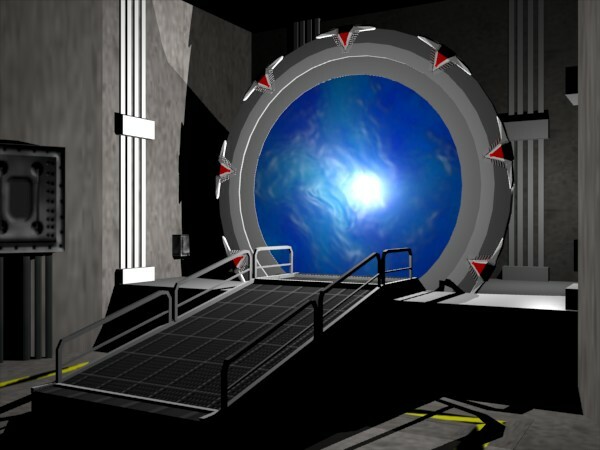 *Techs Are Located Under the Galactic warfare/Space Militarization/Planetary Invasion Category. *Techs are located under Xeno Communications/Universal Translator category. 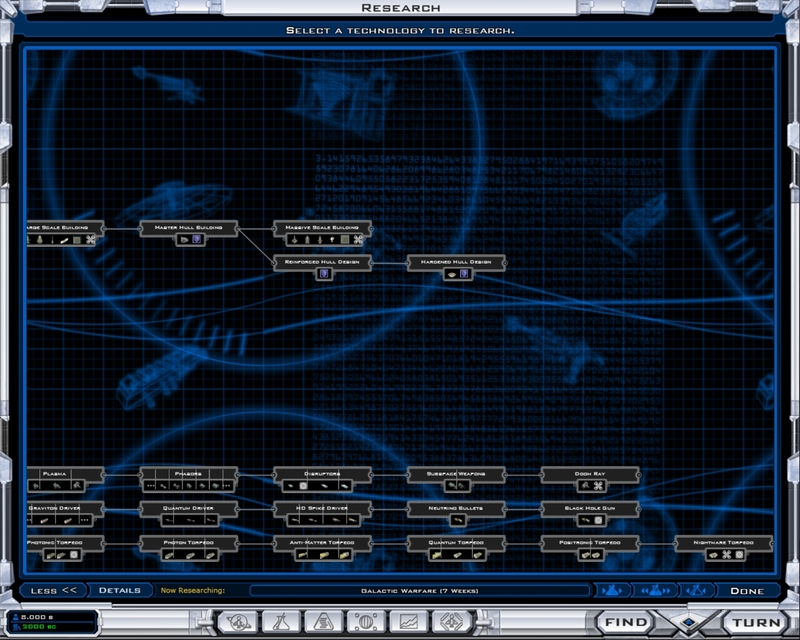 I have included the Galciv 1.2 version tech tree with the added techs. Backup and replace your file in \GalCiv2\Data\English\ with this techtree.xml. All changes listed below are additional effects, except when they replace old effects. No tech prerequisites have been added or changed, only tech costs and direct effects. This is a modified TechTree with research costs 8 times more expensive. It is just kind of a very very slow Tech Tree. I got sick of having to send ship after ship to invade planets. After reading a superman comic i realized what it was that was missing. There needed to be more powerful soldiers and more powerful invasion tactics. So i created this mod. The game is still balanced because both you and your opponents can research these techs. After downloading just replace your files with mine. Happy invasions!